1. Keep tires properly inflated. You can improve your gas mileage by around 3.3 percent by keeping your tires inflated to the proper pressure. 2. Keep your fuel injectors clean. A leaky or fowled injector can rob your vehicle of power and efficiency. A BG fuel injection service will clean up your injectors so that they have the proper spray pattern and atomize the fuel for a proper and efficient burn. 3. Keep the air intake clean. Running your car with a dirty air intake is like someone trying to run a marathon with straws up their noses. It takes a lot of air for an engine to run properly. Make sure that your vehicle is getting the air it needs by doing two things. First, you should always run your vehicle with a clean OEM spec. air filter. Second, over time the recalculated gasses from the EGR system and the positive crank case vent can gum up the runners of the air take system. Keep this vital system clean by using either BG 406 or BG 206. These chemicals are O2 sensor safe and will clean your vehicle back to "like new" specifications. 4. Don't exceed legal speed limits. 5. Keep the pistons free of carbon. Any carbon build up on the top of the piston head will raise the compression of the combustion chamber and increase the need for a slower burning/higher-octane level. 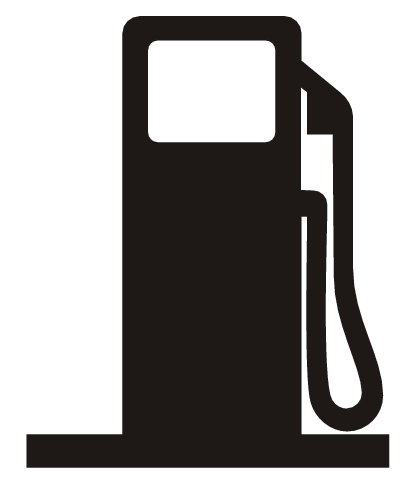 High-octane fuel is more expensive but doesn't give any extra miles per gallon benefit. Keep your vehicle running on the fuel it was designed for by using BG 44K. BG 44K can withstand the heat and pressure of the combustion chamber and will clean the tops of the pistons to ensure a smoother more efficient burn. Without all the carbon buildup on the pistons, your vehicle won't demand a higher-octane fuel. 6. Keep your engine properly tuned. 7. Keep windows closed when traveling at highway speeds. Open windows cause air drag, reducing your mileage by 10%. 8. Use BG Motor Oil Additve along with the recommended grade of motor oil. You can improve your gas mileage by 1-2 percent by using the manufacturer's recommended grade of motor oil. For example: using 10W-30 motor oil in an engine designed to use 5W-30 can lower your gas mileage by 1-2 percent. BG MOA will insure that your 5W-30 stays 5W-30 for the length of the drain interval. MOA has a strong antioxidant package that fights viscosity breakdown and oil sludging. MOA also has added lubrication and protection to keep your engine running at top performance and efficiency. 9. Remove excess weight from trunk or inside of car. Extra tires, sand bags and unnecessary heavy parts all reduce mileage, especially when driving up inclines. 10. The last and best way to save fuel, WALK!